It’s important to know why you do what you do. No, not for the money. It should never be all about the money! I am in the business of helping small businesses, nonprofits, and individuals who want to effectively communicate with their clients and still maintain a thriving family life. As a business owner you don’t have time to become a dynamo at design, advertising, marketing concepts and tools, what not to do, where your business needs to be online to create buzz for your business or even where not to be, how to present a cohesive message that creates urgency in your client quickly — ultimately leading to sales. Of course, this is what everyone says they want. But we are really stubborn and we think we can do it all and be everything to all people. Well… how is it working for you so far. Take a moment to share the “why” that drives you and/or your business. This entry was posted in Creative, Design, Family, Inspiration and tagged business, design, graphic design, kdesign007, marketing, purpose, service, small business, why on November 16, 2011 by Kathy Kinney. Several of my clients use WordPress as their website content management system, as do I. Depending on your comfort level with technology, WordPress can have a steep learning curve especially if you have a day job. Here are 3 excellent resources you can use to make your posts more effective on your WordPress site. Study the optimization notes provided as this will greatly help your site function at it’s optimal speed and efficiency. I’ve seen clients take down their website’s server every-time they upload an image because they refused to optimize images (usually these are people with semi-professional camera equipment but no idea why they would need to downsize their images for the web). I hope this helps you to become more comfortable with your WordPress site and one of many things you can do with it to attract visitors! This entry was posted in Design, Support and tagged content management system, image optimization, insert images into wordpress post, inserting images, optimization, Wordpress on July 10, 2015 by Kathy Kinney. Who doesn’t like those massive monitor screens? Then comes the desire to use all that screen real estate to its optimal productive level. Check out the free open source app from Spectacle. You’ll have to remember a few keystrokes to use it but it’ll give you a flashback to those, oh so technically savvy days of shortkeys like Ctrl +Z or Alt +Tab among others. Just don’t flash back too far, you may have gone too far if you start remembering command-line prompts. Spectacle works on Mac OS 10.7+ platforms to tidy up your desktop by constraining windows in a neat grid based layout so you can focus on the task at hand with all your tools in plain sight — and that means a lot if your office looks like a complete wall of monitor screens or closely resembles the “Bat Cave” setup. Ok, this might be productivity on steroids for most people, but you never know how useful a tool can be till you try it, right? Comment if you found this helpful. This entry was posted in Support and tagged app, app review, apps, creative, move, productivity, resize, spectacle, spectacle app, window resize on May 22, 2013 by Kathy Kinney. There are so many inspiring things out there in the world, especially in the design community. My experience putting together event and wedding invitations has been exciting, though nothing compared to this unique wedding invitation with a paper record player! I sometimes wish I had time to just stroll around the various paper stores and soak up all the newest trends or pull things apart and figure out how they are supposed to work. 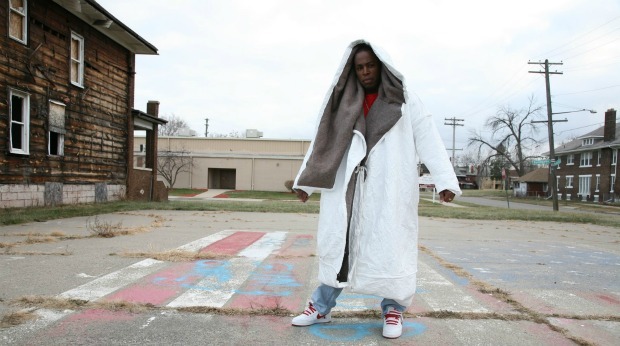 Another idea I stumbled upon today was a philanthropic effort that began with a simple coat-sleeping-bag concept from a design student that became The Detroit Empowerment Plan by housing and employing homeless women to create the new product at no cost for homeless people who wanted and needed it. Of all the cool things that can be done, the “Wow Factor” of all these neat ideas and revolutionary concepts seems so empty if it doesn’t solve a problem or have a lasting effect on the society around it. The ideas and trends which constantly shape our world, politics, the way we communicate, and do business is … dare I say, fun to explore; yet I recognize that I simply want to have made some good effect on the world around me when I am gone. I don’t want my life to simply be the selfish acquisition of status and stuff! There’s nothing wrong with having nice things or creating a good life … but I desire something so intangible that I find it hard to see the purpose in just a decent design. Is anything we do helping anyone in a lasting way? Maybe we aren’t supposed to know or maybe the true purpose hasn’t been revealed yet. So I continue, each day doing whatever I can and seeking… ever seeking a better life. No, perhaps not the “American Dream”, but perhaps the life you imagine you would have peace about in your final moments. This entry was posted in Bizzare, Creative, Design, Inspiration and tagged design, design trend, graphic design, homeless, paper, philanthropic, purpose, wedding invitations, wow factor on August 3, 2011 by Kathy Kinney. I stumbled across a flash tutorial that I put together while in school, about the one thing that has helped keep me perked up all these years… espresso. It’s actually a somewhat humorous little interactive illustration of how to make your own espresso at home. Thought it would be worth sharing. It’s always funny to see where we started out, isn’t it? This entry was posted in Design on July 29, 2011 by Kathy Kinney. When you click Reply or Forward from an email you received from, hypothetically, your “old email account” …in your new message window, below the large Send button you will see a drop down list called Account with all your email accounts managed by Outlook. Click on the email account you would like the reply to come from if other than the original account it was sent too. That’s the quick and dirty way… I hope this helps. This entry was posted in Support and tagged change, change reply to email, email client configurations, outlook tutorial, tutorial on July 28, 2011 by Kathy Kinney. So you have changed your email address over from AOL or Hotmail to something on your existing domain. Great! Your email address now looks more professional, and you’ve even setup name@company.com and now your explanation of your email address takes even less time to explain over the phone! What about those clients who can’t seem to remember that your email address has changed? If you are using an email manager like Outlook 2007, you can simply change the reply to address setting on the old email address to be your new address. Also make sure you set your new address to be your default email address for all new outgoing emails to avoid confusing people. Here’s a few simple steps how to change your reply to address in Outlook 2007, for other versions see your user’s manual or best of luck in your continued search. This tutorial assumes you still have access to both old and new email addresses and now have both setup in Outlook. In the Mail Setup tab, click on E-mail Accounts. Click on your old email address account to select it. A window will open where you should have already setup account settings, incoming and outgoing servers, and username and password for your email. In the general tab of your old email address, change the reply email address to your new email address so that when you receive emails from the old address, you will reply to the recipient with your new address. *NOTE: It doesn’t hurt to add a slight change your signature line which states that this is your new email address and request that recipients update their contact information for you. This entry was posted in Support and tagged change reply to email, email client configurations, outlook tutorial, tutorial on July 27, 2011 by Kathy A. Kinney. Today, I begin full time self-employment. I started out with worship and a walk outside. What a beautiful sunny day! As I headed outdoors, I was quickly reminded how jealously I had looked at the morning runners I used to drive by on my morning commute. I smile now because I am one of them, and I feel great starting my day like this. What made you smile today? And if you had the freedom of time and ability to sculpt your lifestyle, how would you start your day? This entry was posted in Exercise, Lifestyle, Spiritual and tagged Exercise, run, self-employment, walk, walking, worship on July 11, 2011 by Kathy A. Kinney. Inspiration sometimes strikes at inopportune times: in the shower, in a dream, on your morning run or commute. How do you capture these fantastic ideas? As a designer or creative thinker, you may have noticed that those “aha” moments happen at the most inopportune times. One of my favorite cartoonists, from FreelanceSwitch.com, showcased this concept at one point depicting a freelancer who couldn’t get a breakthrough idea until finally taking a break for a shower. The perfect idea hit at the very moment he was fully lathered up and not at all able to jot anything down. Ironic. Comical. And I have to say this has happened to me more often than not, usually when I am just falling asleep, running on the treadmill, or driving down the road. The worst is when I dream about projects I am working on and then I can’t remember if it was real or a dream. As embarrassing as it sounds, I recently had to clarify with my boss on one point about a product I am promoting. Sure enough, I dreamed the entire thing. I wish I could say my dream lead to a great idea, but… at least it rendered a hearty laugh! of course, you can always paper your home office in Post its… if you enjoy the organized chaos it creates. Find a technique that works best for you and keep plugging away at your project one step at a time. Let us know what works for you. This entry was posted in Creative, Design and tagged creative, design, inspiration on June 18, 2011 by Kathy A. Kinney. Driving to work, mulling over the things I have yet to do and the week has barely even begun. My iPod shuffles to a Switchfoot song “This is Your Life” and I am reminded that the most important thing is what I do with today. The past is past, I can never change it. The future is still yet to come … so all I ever really have is today. Some may say music has very little value or effect but I believe that it is a constantly open window to the soul. Given thought provoking content, it can cause one to do some of the most feared things in this society… to think and to change. This entry was posted in Inspiration, Lifestyle, Spiritual and tagged change, music on May 9, 2011 by Kathy A. Kinney.